With most of its provinces providing spaces for industrial estates and residential developments, housing production is, without a doubt, becoming more and more robust in Calabarzon. The province of Cavite, for one, is considered a favorite destination of investors because of its increasing number of industrial establishments. And because of its strategic location, quite a number of residential developments, from subdivisions to high-rises, have chosen the province for its address. And more are being built here. The municipality of Silang in Cavite has great potential, brought by its vast land area that is suitable not only for agriculture but also for real estate and high-end leisure development. For this reason, Wilcon Depot opened on Friday its Silang branch, its fourth in the province of Cavite. “Wilcon recognized the pressing need of the province for more home improvement and building materials and putting up a branch in Silang can surely help in paving the way for the infrastructure development of the municipality,” said Wilcon chief operating officer and senior executive vice president Rosemarie Ong. The country’s one-stop shop for building and home improvement needs believes that its potential for growth is limitless. The increase in the number of new residential developments being constructed in Silang means a greater demand for home building products. “Silang has the biggest land area in the province of Cavite, and with the municipality’s continuous expansion in housing subdivisions and establishments, Wilcon sees the opportunity in filling the gap for building and home improvement needs in the local market of Silang,” explained Ong. Wilcon Depot Silang delivers the widest range of home construction materials that will suit the needs of Caviteño homeowners and builders. An extensive range of the most innovative and efficient products will be made available to those in Silang, whether they are architects, engineers, designers, builders or homeowners. Thousands of quality and reliable products from local and international brands can be found in the sprawling 12,000-sq m Silang branch. And just like in other Wilcon stores, customers can expect to shop with ease, especially with Wilcon Depot’s brand of customer service. Products are organized under several categories such as tiles, sanitarywares, plumbing, furniture, home interior, building materials and DIY, which makes it easy for shoppers to find what they are looking for. Top-tier brands such as Grohe and Kohler Sanitarywares, Franke Kitchen Systems, Pozzi Bathroom Solutions, Koller Whirlpool Bathtubs and Shower Enclosures, Ariston Water Heaters, Geberit Monolith Puro, Bull Outdoor Products and Rubi Tile Cutters will now be available to Caviteños in Silang. Spanish tile brands Alcalagres, Grespania, Rocersa, Cifre, Emigres, Keros and Tesany alongside Italian tile brands Novabell, Energie Ker, Gardenia, Leonardo and Naxos are made available in the Tile Studio inside the store together with Asian tile brands Arte, Sol, Lola, Huanqiu, Verona, Picasso Mosaic, Roman, Mulia, Kia and Basel. Natuzzi Editions, Heim home interior and housewares, Heritage furniture and Hamden Kitchen appliances are exhibited at the Living, Kitchen and Bath (LKB) showroom. Kasch bathroom accessories, Sefa specialty bathroom faucets, bathroom accessories, showerheads and kitchen organizers, Crown and Prussia Kitchen Sink, Electron Generators, Direct Hardware, Truper tools, Alphalux lighting solutions, PTech PVC mouldings, Forest wood products and Solutherm PPR pipes are likewise displayed in the DIY section of the store. Wilcon Depot’s Silang branch will also feature “Design Hub,” Wilcon’s most innovative offering which will let you create your own design through a computer software that provides floor plans and a 3D layout perspective of your design ideas. Wilcon has a group of trained in-house designers who will be ready to assist every Caviteño. It also has ABCDE (Architects Builders Contractors Designers Engineers) Lounge, a dedicated space where professionals can meet with their clients, conceptualize and create projects together inside the store. Wilcon stores have free parking spaces, reliable delivery service and tile cutting service. Valued and loyal customers can also get a Wilcon Loyalty Card for free, for them to take advantage of promo exclusive and special offers. According to Ong, Wilcon recognizes the progressive province of Cavite as a great place to invest in. Wilcon yields to further ramp up its capacity to provide Caviteños in Silang with the best-known local and international brands when it comes to home building products that speaks of utmost quality. The construction industry leader extends its efforts to help the people in Silang to build, improve and refine their homes for a more sustainable and comfortable life. 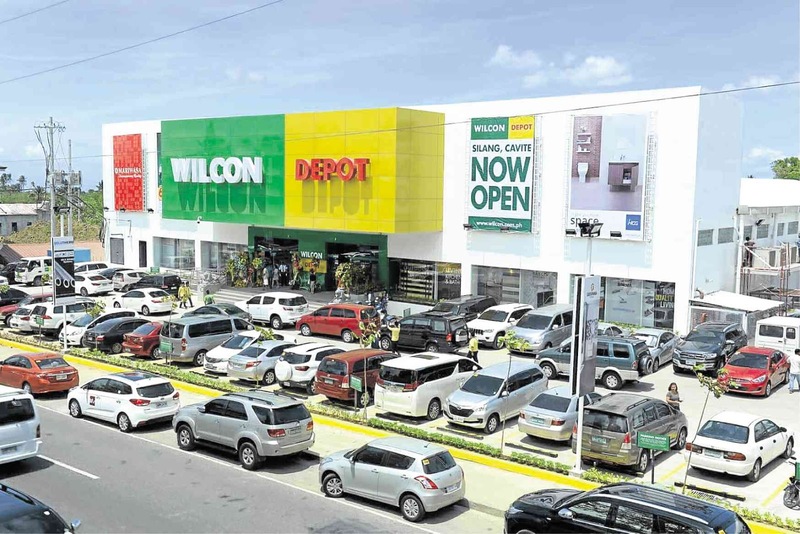 With the opening of its fourth branch in the province, Wilcon envisions itself to be the top provider and most sought-after retailer of well-recognized brands of home improvement and building materials to every homeowner in Silang, Cavite.